Malaysian stevia sweetener producer, PureCircle, says its revenue for the 2017 financial year will be “materially below market expectations” after it was unable to ship its product into the US for eight months. However, there seems to be some better news ahead. PureCircle, which provide the Coca Cola Company with stevia, had to stop importing to the US in 2016 after the country’s customs seized one shipment of its products, believing it may have been made using Chinese “slave labour”. The allegations have since been cleared with PureCircle saying the seizure was “based on an inaccurate allegation”. PureCircle has however this week released a financial profits update, saying rebuilding trade to previous levels has been slower than expected. “The resumption of trade occurred post the key innovation cycle planning period of our customers, hence these new product launches have rescheduled to later dates in order to coincide with their commercial and marketing plans,” PureCircle explained. 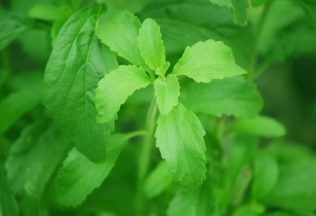 Despite the setback, PureCircle said the global demand for stevia continues to grow and that “the PureCircle pipeline of demand is strong”. Sales to Europe and South American have significantly increased for the company and the number of brands using its products has grown 18 per cent year-on-year. Chief Executive Officer of PureCircle, Magomet Malsagov, said he is disappointed by the problems in the US but said they were beyond the company’s control. “Nevertheless, we remain highly confident in the future growth of both PureCircle and the stevia market.” Malsagov said. “We have continued to develop our newer and more innovative varieties of stevia sweeteners and we have not lost time in intensifying our stevia research and development and broadening our patent protection, alongside our capacity expansion,” Malsagov stated. PureCircle’s growth comes at a time when its client, Coca-Cola, is beginning to emphasise the use of stevia as a sugar alternative in some of its beverages. Within Australia, Coca-Cola containing stevia was initially launched in 2015 under the name “Coke Life”. The product has however been recently re-branded under the name “Coca-Cola with Stevia” with analysts saying it better communicates that the drink has less sugar and is sweetened with stevia instead. Happy little Vegemites are happy for a scientific reason Victoria University researchers have found.